Every week, Making A Mark gives an insanely talented artist a little brag-space right here on IADW. 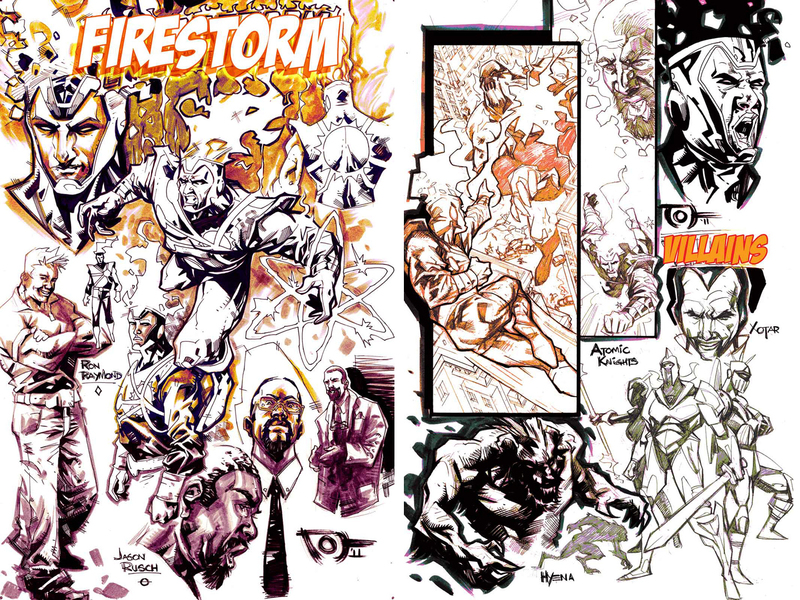 This week, it's the turn of Jose Holder/Joh James - a Canadian artist, who like one of his favourite DCU dudes, Firestorm, combines his two identities to create his own artistic nuclear reactions - ones that will literally set your eyes ablaze! Just look at how his hip-hop mixed with Bill Sienkiewicz styling tackles the cast of DC's most radioactively cool hero. Now those are some character sketches! If you haven't all ready, click'n'pop it up bigger - the 'puffy sleeves' outfit has never looked so good! 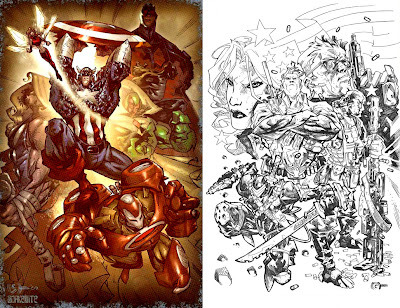 It was researching how people handle group compositions for my Avengers West Coast fan-art that led me to Jose's work. I mean when the guy can do group shots like those above of The Avengers (with Snakebite on colours) and G.I. Joe, how can you not tell somebody? For those of you already wanting some printed Jose Holder goodies to sink your teeth into, watch for I.C.E from 12GaugeComics, issue #1 out this July for just one buck! 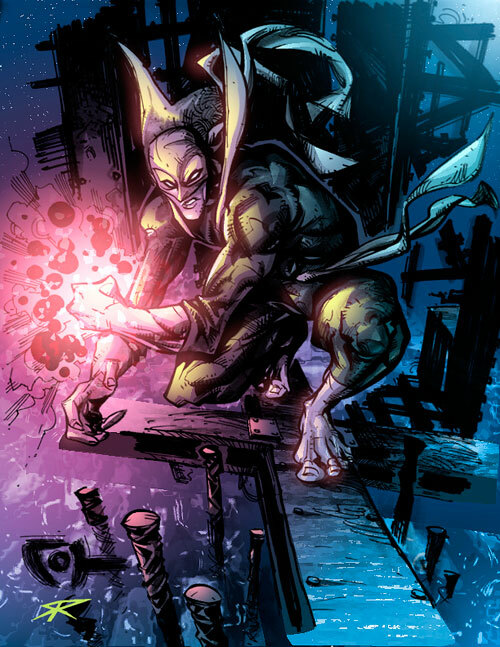 There you'll get to see him team-up with other equally talented folks, like he did with colourist Ron Riley of Dynamo 5, who coloured this here Iron Fist number! Check out the setting and perspective in that shot! For more of what makes Jose tick, from Dr Fate to Spidey and beyond, visit him right here on Blogger after the jump. 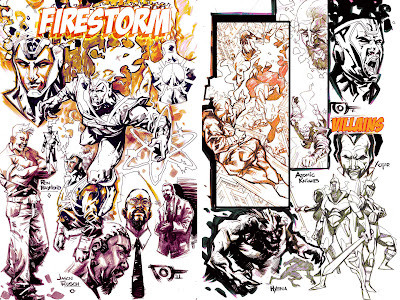 That Firestorm stuff is mind-blowingly awesome! I know right Doug?! It's like preview sketches of a great new number one. Lucky the next series is being done by Yildiray Cinar or DC would have a fight on their hands! Wow! My eternal thanks for all the support, Dan! Really appreciate the time you took to throw this all together, dude. I'm sure FIRESTORM is in super capable hands over @ DC, too. Tell me how the Avengers West Coast piece comes along when you have updates! Hey Jose - thanks a frillion in return for stopping by! It's always gobb-smackingly cool when the illustrators I dig let on they've dropped over and even better when they liked what they saw! Will definitely drop you a link when my westy pop shot is done - will be awesome to get your feedback. Thanks for the time mr! Glad to swing by and lend my support for all the hard work & research you're compiling for your fans. Keep up the good work and be sure to post a link to your Avengers piece on MY blog, too!